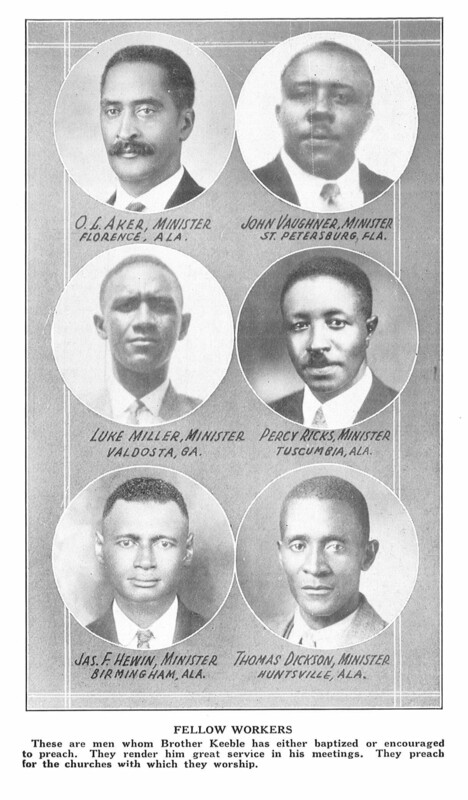 In conjunction with our current exhibit, “The book will be preaching after you and I have gone home”: Marshall Keeble’s Print Legacy, our student workers will provide expanded content on the “Fellow Workers” pictured in Biography and Sermons of Marshall Keeble, Evangelist. Today’s post on Percy Ricks was researched and written by Sarah Dillinger. Sarah is a Senior Social Studies major from Pittsburgh, Pennsylvania. She has been a student worker in Special Collections for three years. Sarah enjoys the research and connections she makes while working in Special Collections and hopes to pursue a career in teaching history when she graduates. On September 13, 1891 in Tuscumbia, Alabama Perry “Percy” Ricks was born. He was a Second Lieutenant in the Army during World War One, a fireman, and then became one of the few black railroad engineers in the early twentieth century. He was the brother-in-law of Marshall Keeble and the grandson of George Ricks. Both of these men had a lasting impact on Mr. Ricks’ life. He was baptized by his grandfather who was a member of the churches of Christ for 62 years and a preacher at High Street Church of Christ in Tuscumbia, Alabama for 30 years. In 1972, after Mr. Ricks retired, he visited the village his grandfather had been taken from in West Africa before he was brought to America as a slave. 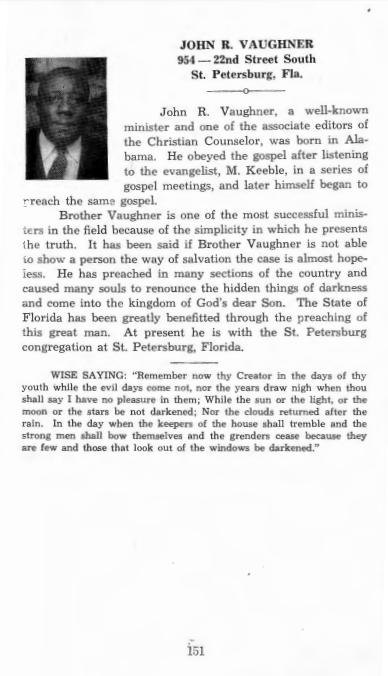 While Mr. Ricks was in West Africa he preached a sermon to 400 Africans of whom 16 were baptized afterwards. This visit impacted the rest of Mr. Ricks’ life as he became an advocate for schools, hospitals and missionaries in that part of the world. On February 17, 1979, Mr. Ricks died in Tuscumbia, Alabama. Find A Grave, database and images (https://www.findagrave.com : accessed 16 September 2018), memorial page for Perry E “Percy” Ricks (13 Sep 1891–17 Feb 1979), Find A Grave Memorial no. 108282737, citing Oakwood Cemetery, Tuscumbia, Colbert County, Alabama, USA ; Maintained by Tom Childers (contributor 46515204) . High Street Church of Christ.